The third year of our BA (Hons) course in Live Events Production can also be taken as a standalone qualification. 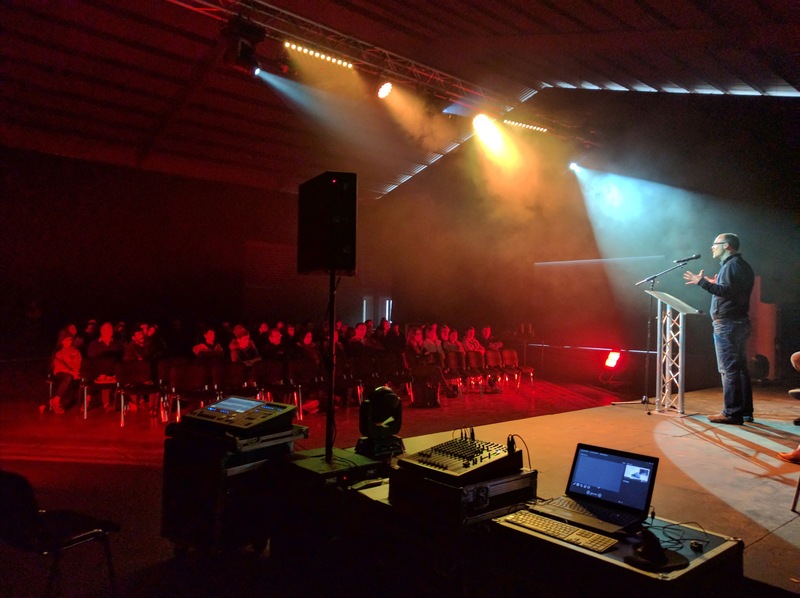 BA (Hons) Top-Up in Live Events Production provides a progression route for students who have successfully completed our Live Events Production FdA or a related HE Level 5 qualification at another academic institution. Our Top Up course will provide an insight into the key issues involved in the strategic organisation of large events, festivals, and touring music. You will investigate how businesses and individuals operate within the sector to provide dynamic solutions. Alongside this, you can progress your choice of specialism in an area of creative technical production or event management. Personal and professional development is emphasised during the course, whilst the modules reinforce the programme’s integration with the industry to provide you with the right skills and attributes for employment across a variety of areas in the live events sector. The delivery structure of the course is designed to be compatible with students maintaining employment in the sector and provide opportunities to get involved in a diverse range of practical projects, manufacturers’ seminars and visits. 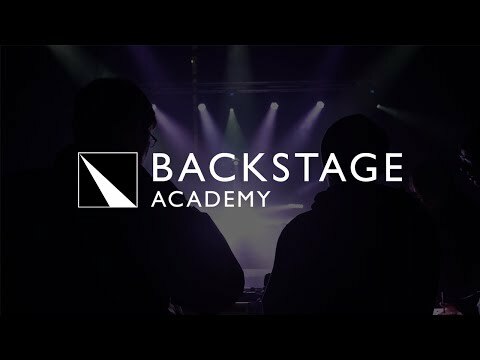 The Live Events Production (Top-up) BA (Hons) course at Backstage Academy provides a progression route for students who have successfully completed the FdA in Live Events Production or other similar HND / level 5 qualifications (or equivalent) in a related subject, who are looking to enhance and develop their careers, as well as gain a degree qualification. You will study a range of modules to enhance and build upon your previous studies and experience in a related subject area. The top-up year is focused on management, tailored specifically to the live events sector and will provide more insight into the key issues involved in the strategic operational production management of large events, festivals and venues, whilst honing your academic skills. Graduates that have completed the Live Events Production (Top-up) BA (Hons) degree are well placed to become efficient and proficient Technical, Operational or Event Managers. Armed with a foundation in the technical aspects of live events gained from completing the first two years of the Live Events Production BA (Hons) or two-year FdA, coupled with management, gives our graduates an employability advantage. This could be as a freelancer, employee or running your own business. In this module you will develop your understanding of the business structure of the live events industry with a particular focus on the live music sector. You will study social and economic benefits related to the industry and investigate the functions and interactions between the various facets of the sector. You will develop a detailed understanding of how individuals and businesses operate within the industry. This module offers you the opportunity to expand your knowledge of issues related to logistics and supply chain management in the live events industry. You will analyse the management of operations, supply chain management and evaluate how the international dynamics of the live events industry can work in a coordinated manner to provide a successful event. This module develops and consolidates your ability to undertake a major research project. The two main approaches, quantitative and qualitative, will be explored, including how data is collected and analysed within each of these areas. Attention will also be paid to ensuring that research is ethical. To give this module more salience, you will develop these research skills within the context of your particular subject area. The Major Project module is a substantial piece of work that gives you the opportunity to demonstrate the extent of your achievement on the degree as a whole. The module will enable you to consolidate the skills and experience gained during the fi rst two years of the course. You will agree a project proposal and a learning agreement with your supervisor. You may work individually or in teams. If you work in a team, the team members will have a common supervisor or supervising team. Your project will build on areas already explored in the other modules in your programme. The module tutor and guide will provide further advice regarding the project, including attendance, supervisory arrangements, assessment criteria and rules regarding teamwork. This module allows you to develop further knowledge and specialist skills in devising and operating complex live sound systems within live events settings. You will extend your technical knowledge and practical skills in live sound production through self-proposed productions that evidence technical expertise, aesthetic artistry, project management and leadership skills relevant to a sound production team. This module allows you to develop advanced knowledge and specialist skills in lighting production and practice. You will design, setup, deliver and evaluate complex lighting shows within live event settings. You will also extend your critical and analytical skills through self-proposed lighting setups and performances that evidence technical expertise and aesthetic artistry in this field. This module allows you to develop advanced knowledge and specialist skills in visual production and practice including team leadership. You will design, setup, deliver and evaluate complex visuals within live event settings. You will also extend your critical and analytical skills in Visual production through self-proposed Visuals setups and performances that evidence technical expertise and aesthetic artistry in this field. This module allows you to develop your knowledge and perspective of the live events sector. You will investigate a variety of external factors at play, such as economic, political, technical and environmental factors. You will explore and evaluate current issues within these fields and analyse how they impact on the sector and on particular types of event. Generally, assessment is by portfolio and (where appropriate) a supporting piece of work relevant to the module. The portfolio is based around you evidencing your skills and experience, reflecting upon how you are developing both professionally and personally, and is a useful tool for you to set goals and targets. You will also be expected to research methods and practices that are not covered in the module, and to relate and compare these to your learning. Other work relevant to the module might include a report on a particular aspect of the industry. You will have successfully completed either our FdA in Live Events Production, or another related Level 5 qualification. You would normally have five GCSE’s of Grade C and above, including passes in English Language and Mathematics. If English is not your first language you will need IELTS 6.0 or equivalent. Tuition Fees for this course are currently £9,250 per year for UK/EU students commencing study in 2018. Classes are usually delivered to around 30 people in seminars and classroom based lessons. The BA Top-Up offers a great extension to the Foundation Degree, academically and in usable skills, as well as the support of the tutoring and facilities on site. It will offer me bigger career paths in the future.